When setting up a solar project multiple factors ranging from financial, component selection, site conditions and building permits are considered. Within these, taking into account the solar resource, prior to selecting an optimal or best condition site for the project will determine system generation expectations. Solar Irradiance is a measure of how much solar power you can receive at a given location. Typically measured on a surface equivalent to one square meter over second intervals or periods of time and it is commonly expressed in Watts per square meter (W/m2). Irradiance varies throughout the days, months, years and is dependent to clear skies and weather conditions. 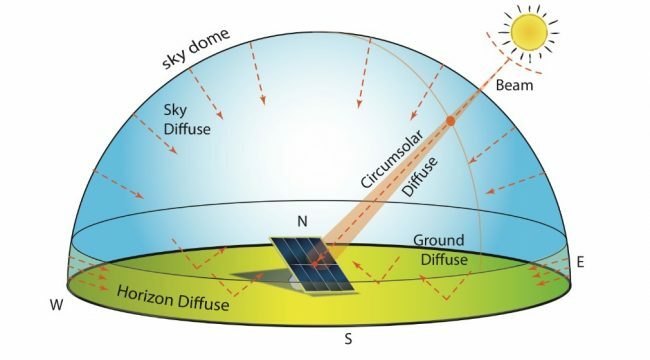 Commonly it classifies into Global Horizontal (GHI), Direct Normal (DNI) and Diffuse, and acknowledging these will aid us to better prospect our PV project. Conventional PV utilizes GHI whilst concentrating PV (CSPV) utilizes DNI. As PV Modules generate power through irradiance dependency, the higher irradiance level will offer us a higher power output. 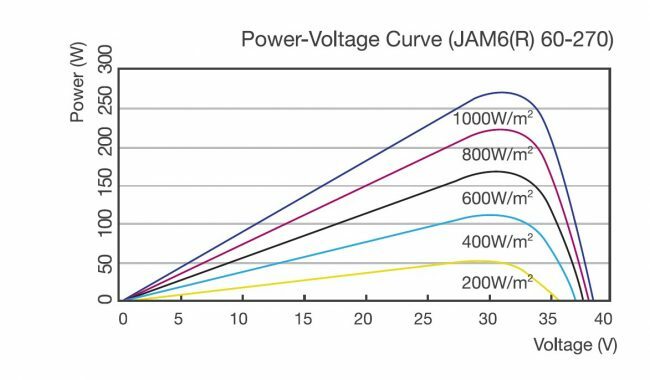 Source: JA Solar, power curve at STC. Irradiance can be measured with tools such as pyranometers, pyrheliometers and reference cells, which can come handy at specific project locations and will determine a more accurate level of irradiance. Additionally the use of online maps are becoming more popular and can offer a quick access to irradiance and PV power output estimates.